The parlay bet is a lot like Casey Anthony (or Michelle Rodriguez if you prefer), simultaneously very attractive and highly dangerous. For anybody unfamiliar with this bet type, a parlay is a combo bet with two or more wagers linked together. If any of the bets in the parlay lose, then the entire parlay loses. However, bettors can sometimes parlay several teams together for massive one-time payouts. Parlays are most popular during football season where bettors will oftentimes string together a dozen bets in hopes of striking it rich, and sportsbooks readily play into this get-rich-quick mentality. You’ll never hear sportsbooks talking about the stockpile of losing tickets but, as you can see from the tweet below, they’re more than willing to discuss the winners. For casual bettors and weekend warriors, hitting this type of epic parlay is the ultimate fantasy. Parlays allow recreational bettors to turn small wagers into real money. But why are sportsbooks so willing to share this information after they’ve lost almost six-figures? It’s because parlays typically provide the house with a larger edge than straight bets. As more and more bets are included in the parlay, the juice continues to rise — especially at Las Vegas sportsbooks. There are many restrictions about correlated parlays (bets that are tied into each other) and how many wagers can be combined (for example, Pinnacle allows up to ten legs in a parlay), but most sportsbooks use a similar payout formula for parlays. As you can see from the chart below, it’s far more advantageous to bet parlays at offshore sportsbooks as opposed to Vegas books. We should point out that offshore sportsbooks typically have better odds than Las Vegas sportsbooks, and that every offshore book is different. That’s one of the reasons we suggest shopping for the best line before placing a wager. Note: Odds are rounded to the nearest integer. The main difference between betting parlays at a Las Vegas sportsbook as opposed to an offshore sportsbook is that most Vegas books don’t offer true odds. To calculate your winnings with true odds, simply multiply the odds by your bet amount. Suppose you bet $100 on a two-team parlay where the odds of both picks have the standard -110 juice. If you won, you’d stand to earn $264.50 ($100 x 2.645). Let’s say you’re an unskilled bettor that hits on only 50% of your bets and you want to take a five-team parlay. If we multiply 0.5×0.5×0.5×0.5×0.5 we get 0.03125 or 3.125%. That means your expected payout would be (.03125 x $2000) – (0.96875 x $100) which simplifies to ($62.5 – $96.875) = -$34.375. In other words, for every $100 bet you can expect to lose $34.38 as compared to the expected loss of $9.09 for a single bet assuming standard -110 juice. Even at offshore sportsbooks, bettors would lose $21.85 for every $100 wagered on parlays. As it turns out, sportsbooks have made a fortune off parlays for years. According to the Nevada Gaming Control Board Gaming Revenue Reports, sportsbooks in Nevada boasted a nearly 30% hold on parlays between 1984 and 2015. In comparison, every other major sport has a hold below 5%. Parlay bettors are essentially risking more with a lower probability of collecting, which is why we recommend a flat betting strategy Money management may be the most important discipline needed to be a successful sports bettor, yet it’s amazing how many bettors make irresponsible decisions with their bankroll. With a flat betting strategy, bettors should wager a consistent amount (typically between 2-4% of total bankroll) on every game. Flat betting will help you ride the ups and downs of sports investing and overcome the inevitable losing streak. It’s a strong alternative to chase systems, which often require bettors to place massive bets to recoup previous losses. It’s also worth noting that even if your picks go 4-1 on a 5-team parlay, the entire bet would lose. Instead of earning nearly three units for those wins, bettors would walk home down one unit. Flat betting may not provide the type of one-time payments that bettors desire, but it’s a smart, long-term strategy used by many professional sports bettors. Consistently betting parlays will cause wild fluctuations of your bankroll, which is why most professional bettors tend to avoid them. We constantly preach betting against the public, and fading teams that are receiving overwhelming support on parlays is a sure sign of “square” action. Sportsbook Insider subscribers are able to view parlay percentages along with spread, moneyline and over/under betting trends. 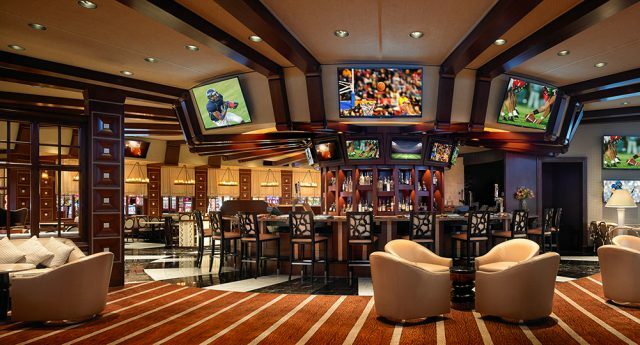 Sports Betting 101: Everything You Need to Get Started.